Join us on Friday night for a time of teaching, extended worship, and ministry time. Mike Bickle, or another member of the IHOPKC leadership team, will teach on the end times. 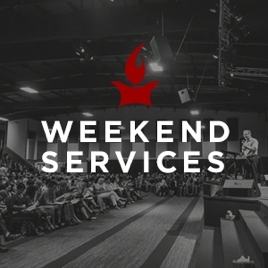 The service is Friday, 6–9pm, and is followed by a prayer room worship set until 12am. Join us for coffee in the foyer at 5:45pm. All times are Central Time. Children’s Equipping Center classes are available for children ages 1–12 from 6–9pm. Please note: The Global Prayer Room is normally closed to the public on Friday evenings between 6pm and midnight. People from all walks of life are welcome at Forerunner Church, where our desire is to grow in passion for Jesus and compassion for people. Together we commit to love and obey Jesus, to enjoy fellowship with each other, and to reach out to others in the power of the Spirit. Our friendship groups meet for fellowship, Bible study, ministry to one another, and outreach and service in our neighborhoods. Join our activities and programs for children, teens, young adults, moms, and those in the workplace. Services are 8:45am and 11am. Children’s Equipping Center classes are available for children ages 1–12.